Please sign up for News updates with us. 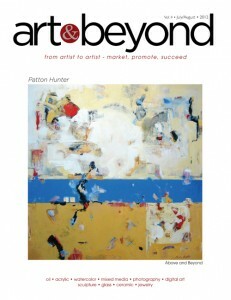 Dear artists please view the Membership program and find out about publishing opportunities within the Art & Beyond Publications. IBAEM. Overview. Photo credit to LDT©. On June 7, 2012, a large crowd of art enthusiasts filled the spaces at LMNT in Wynwood for the inauguration of the 2nd Edition of the International Biennale Artists Exhibition http://internationalbiennaleartistsexhibitionsmiami.com/, a collective art exhibition by 56 international contemporary artists, some of them already showcased in previous formal biennales. Old Brooklin Bridge. 30″x40″. Mixed media. Extraordinary versatile in her mediums, Irena could never imagine life without art. Having a successful carrier in architecture and design for quite a long time, she began to deal with fine art. 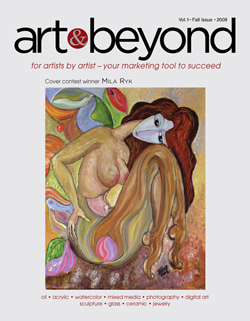 She is an artist whose path in the fine arts has led her to a unique expression of mood and color. The combination of antique and a very clean, crisp modern design sense creates a highly prized, individual art style. 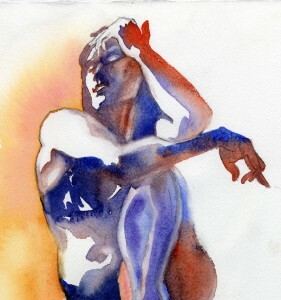 Her images begin spontaneously and give expression to personal creativity and insight. Each piece is unique in design. Irena often prefers to think of herself as a craftsman, constructing, or interpreting imagery and messages from her conscious and subconscious mind. Alicia H. Torres was born in Columbia. Studied in Barranquilla at Marymount School. Spent four years in Switzerland where she studied Art History at the Institutes La Pelouse in Bex and Montcalme in Lausanne. Alicia had the chance to visit European museums and enjoy and admire what she loves most – art and all of its expressions… read more. The roots of my life and work are steeped in Russian art and culture. My earlier works had a whiff of Russian Constructivism (purely unconsciously; I was thrilled when it was pointed out to me). I am still searching for a way to express the breadth of feelings and emotions and the struggle for meaning and life’s anchor. My major influences are Mark Rothko, Wassily Kandinsky and Marc Chagall. My heart leaps when I see their work and I think ‘how do I do THAT’… read more. Max Tzinman was born in Romania and lived in Israel and Canada, immersing himself in a multitude of cultures that influenced his artistic philosophy. Formerly an architect, since his move to New York City he has returned to his first love, art. He has recently participated in art and photography shows at LACDA (Los Angeles Center For Digital Art), The Center for Fine Art Photography (Ft. Collins, CO), BAG (Brooklyn Art Gallery), Bryn Mawr Rehab Hospital Art Gallery, Moss Rehab/Einstein, Atlantic Gallery, MOCA (Museum of Computer Art), and the William Penn Foundation… read more. Displaced to Athens, Greece from a small modest villa on an island across Italy, Argostolion, Kefallinia, Greece, after a devastating earthquake arriving to the US was inevitable. Tutored prior to age five helped in advancing in school and previously knowing the English language. Already noticed and encouraged by teachers and the principal in Greece, to draw the passion continued in all arts. Here in the US, the encouragement was the same by many wonderful teachers in Illinois, with art projects phenomenally full of creativity, and fun. Meeting some master artists at this time was a most exciting treat with an intellectual reciprocation upon interacting that contributed in confidence, creativity, and stretching the imagination beyond… read more. City Side Street. Digital art. Birth of the Blues. Oil on canavs. We can sense all the depth which marks the vital and creative process of Gabriel Gross, an artist in constant dialogue with the different scopes of contemporary art, and who above all is interested in a presence that is in his intense path, in his neofigurative periods, as well as in his abstract research. When Jacqui Morgan received her BFA from Pratt, she entered a world without any female illustrators. She with Barbara Nessim and Lorraine Fox who passed away very young, were the first and only working female illustrators. During the heyday of the psychedelic, she designed and illustrated the iconic Electric Circus Poster and went on to create more iconic images for the American Optometric Association, Sansui, Scott Printing, Celanese, Exxon, and 7 UP Billboards. Unique covers for American Artist Magazine, Mac Millan Books, Print Magazine and Cosmopolitan along with album covers for RCA, ads for DeBeers diamonds and animated commercials for Burlington Mills and General Mills were among her achievements. She always loved science fiction and illustrated a few anthologies for young readers. Contact InformationJacqui Morgan, Illustrator Painter Educator Writer. Set Free. 24.5″ x 7″ x 11.5″. Bronze sculpture. Ione’s art has shown nationally since 1998 when, after years of world travel, a successful television, radio, theatre and film career in the performing arts, she decided to focus her richly diverse talents on the visual arts. Ione’s artistic expression, creativity, and passion for communication have resulted in numerous awards for her painting, sculpture, mixed media, and assemblage. Ione is an avant garde artist whose artistic expression takes fantastic shape through her diverse oil and watercolor paintings, bronze sculptures, found object collages and mixed media assemblages. Her contemporary paintings and sculptures range from abstract to realistic to impressionistic – all visionary interpretations from her imaginative soul. Semproniu Iclozan is an intentionally known American artist, born in Romania. His work has been shown at more than 51 exhibitions in Europe and United States. Iclozan’s art was published in many European books and catalogs around the world. Iclozan’s work is in the permanent collections at the Chicago History Museum, National Museum of Art in Bucharest, Romania, Museum of Contemporary Art, Poland, Royal Art Collection in Stockholm, Sweden and many others. 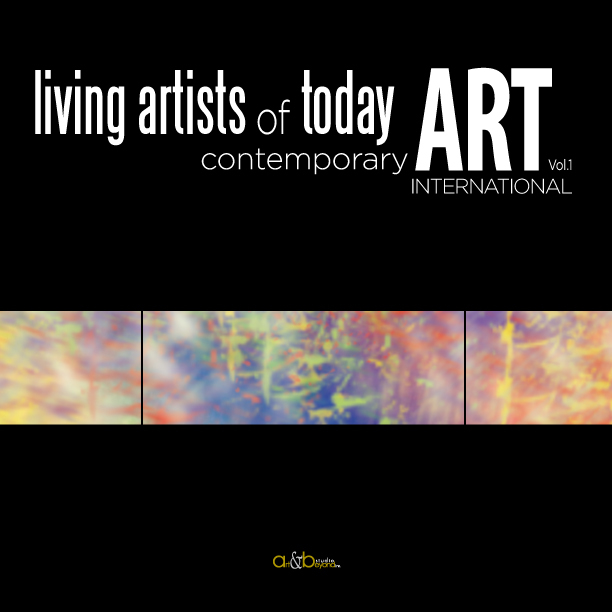 For almost two decades, Iclozan was exhibited as a solo artist in numerous galleries around the world including; Ambassador Gallery, NY, Portals Gallery and Hansen Gallery, Chicago, Fontanella Borghese Gallery, Rome, Italy, Accademia di Romania, Rome, Italy, Craiova Museum of Art, Romania, Drottinnggatan 100 Gallery, Stockholm, Sweden (full list of solo and group exhibition can be found on artists web site). Iclozan has also participated in numerous of Art Expos, including the Vancouver, Chicago and Miami International Exhibitions. Iclozan’s artwork is also in many private art collections in United States, Belgium, Canada, France, Germany, Great Britain, Italy, Ivory Coast, Japan, The Netherlands, Romania, Serbia, Spain, Sweden and Switzerland… read more.